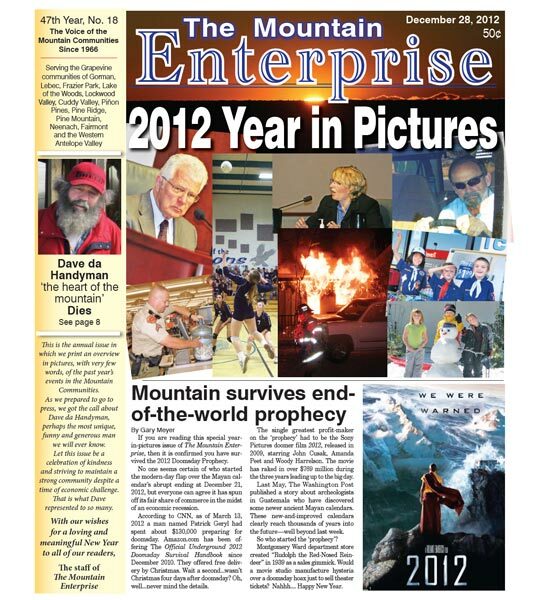 If you are reading this special yearin- pictures issue of The Mountain Enterprise, then it is confirmed you have survived the 2012 Doomsday Prophecy. No one seems certain of who started the modern-day flap over the Mayan calendar’s abrupt ending at December 21, 2012, but everyone can agree it has spun off its fair share of commerce in the midst of an economic recession. According to CNN, as of March 13, 2012 a man named Patrick Geryl had spent about $130,000 preparing for doomsday. Amazon.com has been offering The Official Underground 2012 Doomsday Survival Handbook since December 2010. They offered free delivery by Christmas. Wait a second…wasn’t Christmas four days after doomsday? Oh, well…never mind the details. 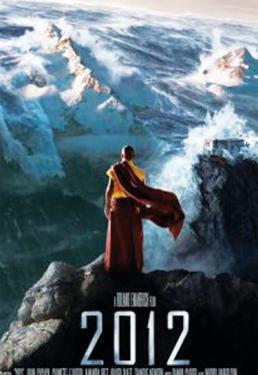 The single greatest profit-maker on the ‘prophecy’ had to be the Sony Pictures doomer film 2012, released in 2009, starring John Cusak, Amanda Peet and Woody Harrelson. The movie has raked in over $769 million during the three years leading up to the big day. Last May, The Washington Post published a story about archeologists in Guatemala who have discovered some newer ancient Mayan calendars. These new-and-improved calendars clearly reach thousands of years into the future-well beyond last week. So who started the ‘prophecy’? Montgomery Ward department store created "Rudolph the Red-Nosed Reindeer" in 1939 as a sales gimmick. Would a movie studio manufacture hysteria over a doomsday hoax just to sell theater tickets? Nahhh…. Happy New Year. 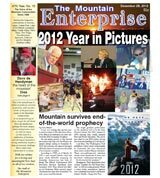 This is part of the December 28, 2012 online edition of The Mountain Enterprise. The Mountain Enterprise Is on Fiscal-Cliff-Watch in Washington D.C.